When visiting other websites, I read the “about” section. For the most part, it starts with the love of fashion yada yada. This isn’t the story behind Lele B’s. Check out my 2nd grade picture…doesn’t it scream future fashionista??? LOL! 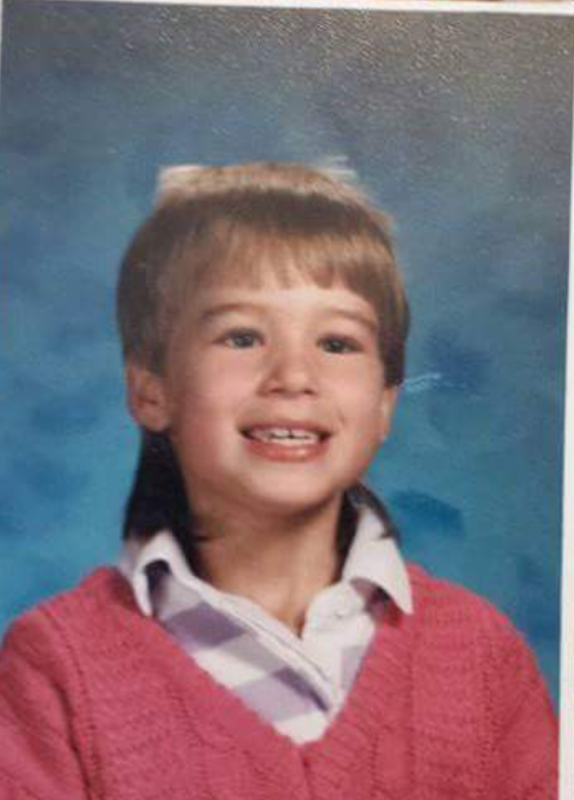 My story started in the 80’s rocking a mullet wearing hand-me-downs from older cousins. Granted, it was all name brand so I wouldn’t have a problem blending with the snobs in school. Kidding, the snobs were my friends. We weren’t really snobby, just selective of our little crew. Anyway, fast forward to the 90’s working at my aunt’s restaurant. My checks and tips were directly donated to the local mall, when it was still hip and cool. Don’t ask about it now. It’s a sad sad story. Then at the tender age of 18, I was offered a credit card. Wait…what? You mean I can buy all sorts of clothing and make minimum payments? Awesome!! See the pattern developing…a slightly problematic shopping trend started. Lele B’s was created out of love. The love of shopping. Here we are today, almost a year into the boutique world. Cheers to many more! !